Get notified when Belmont Stakes tickets are available! 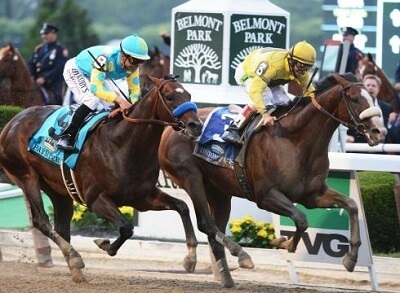 The Belmont Stakes is one of the most exciting horse races of the season. This Thoroughbred race is held at Belmont Park located in Elmont, New York and happens each and every June. If you are a fan of horse racing, you have probably heard of the Triple Crown of which the Kentucky Derby and the Preakness Stakes are part. This race always happens on whichever Saturday falls between June 5th and June 11th and it is the most popular racing event when it comes to attendance. That means if you want your own Belmont Stakes tickets, you need to act now before they are gone.